Preheat oven to 350 degrees. 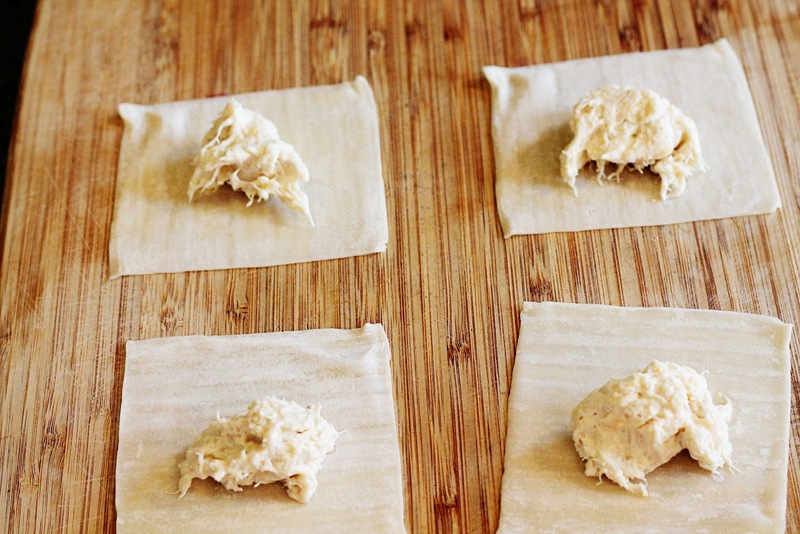 Mix cream cheese, crab meat, mayo, green onion, worchestershire sauce, chili paste, salt & pepper. Place small scoop of mixture in center of wonton wrapper. 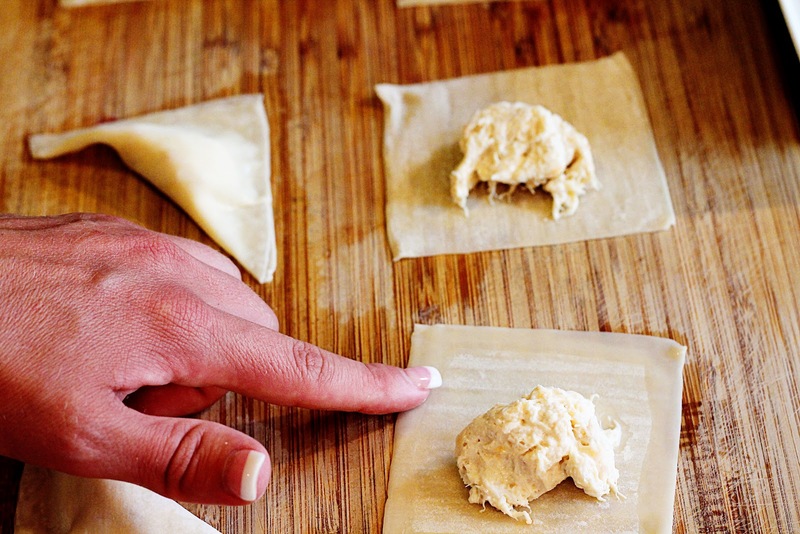 Using your finger, trace around the edge of the wonton wrapper with a little bit of water. 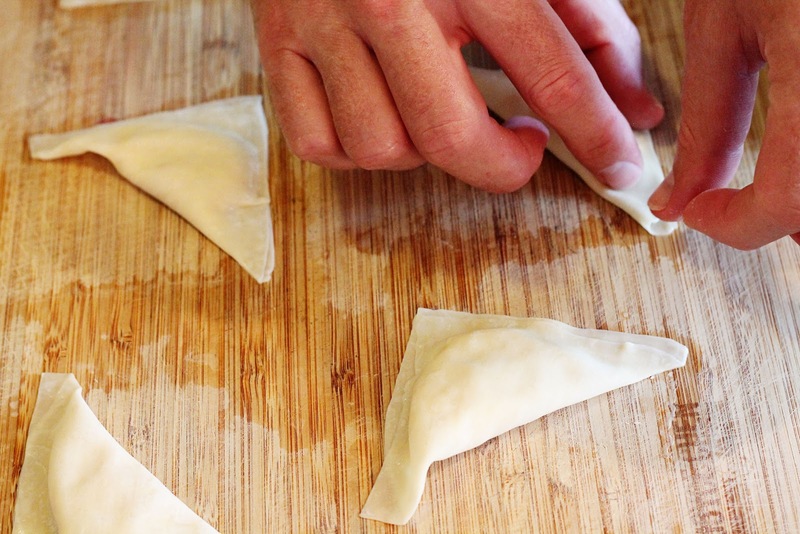 Fold wonton wrapper to make a triangle and then bend the edges toward the middle. Place on lightly greased cookie sheet and bake for 15-20 minutes until brown. 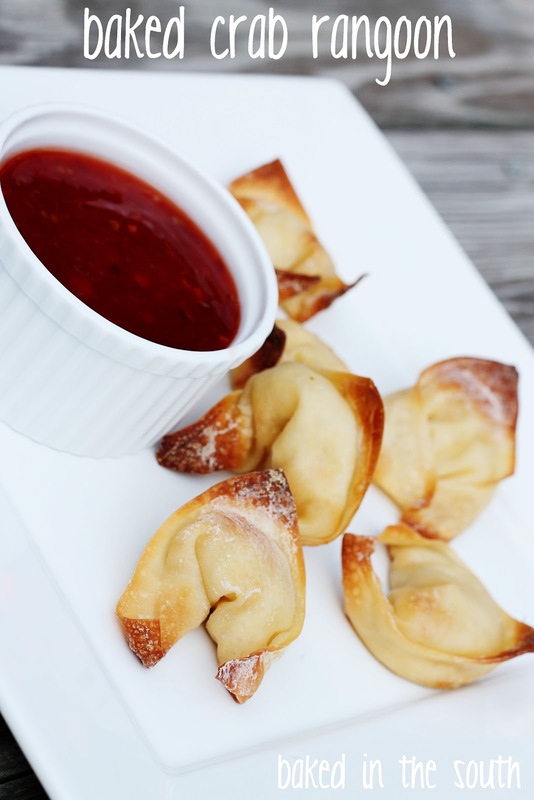 Serve with sweet & sour sauce.